2017 will be my 12th year working in a brewery. Did you brew anywhere else, and if so, where and when? 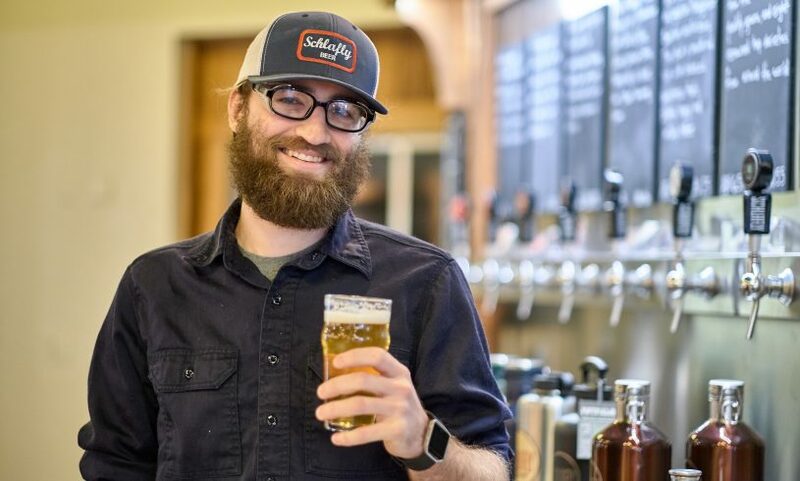 I started working in New Albanian Brewing Company’s brewery in 2005, after previous roles with the company that included handling the day-to-day work of the guest draft and bottle beer program. NABC had been a highly-rated beer bar for over a decade before adding on the brewery so it was an atypical model of brewpub with a very well-crafted guest beer program. I worked around some of the best beer in the world which helped sharpen my brewing interests and set the bar very high for our house beers. At NABC, I would hang out in the brewery as much as I could when I wasn’t tending to my other duties or traveling with my band. I wanted to learn what I could. One day, they finally taught me how to use the keg washer, and the rest is history. 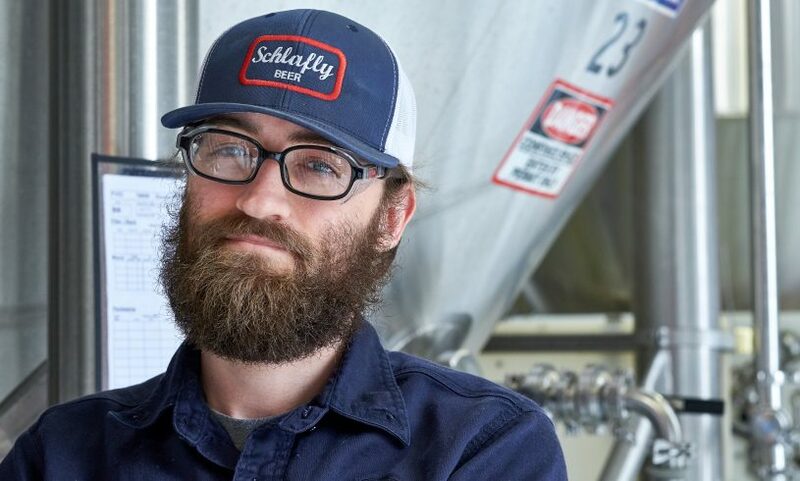 Working in a brewery came very naturally to me, and I learned all aspects of the business: brewing, cellaring, packaging, inventory, logistics, distribution, sales, marketing, tax and TTB – almost everything other than owning. When I left NABC 6 years later, I was Head Brewer and responsible for R&D and portfolio design. Recipe design, R&D and portfolio design. What’s the best beer festival you’ve ever attended and what made it so awesome? Hands down, Great Taste of the Midwest in Madison, Wisconsin is my favorite festival. I’ve only missed 2 GTMW festivals in the last 11 years. Probably the best part is seeing my industry friends that I rarely see, it is truly a gathering of the Midwest beer tribe. What does your day-to-day look like? What are you doing and overseeing? At Schlafly, my role as Lead Brewer is a multifaceted job. I work at both our Taproom and Bottleworks locations, and depending on the location and day, my duties can vary greatly. 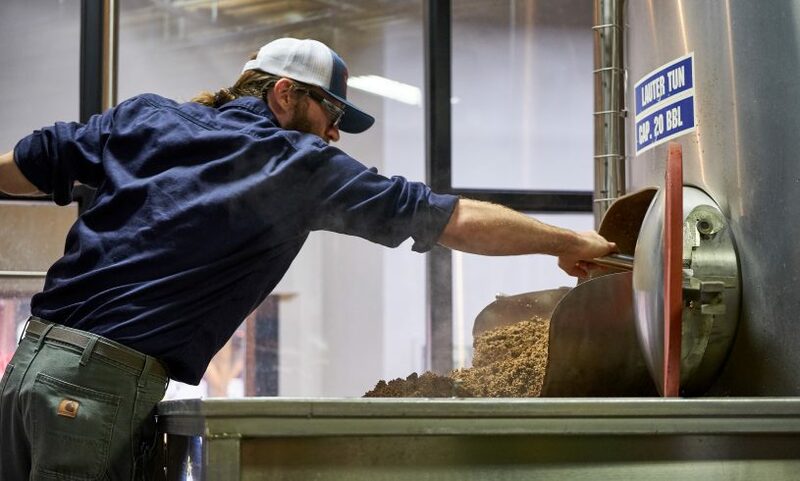 At the Taproom, it is more a traditional brewpub-style job so you are involved in every aspect of production from brewing to packaging to shipping and receiving. 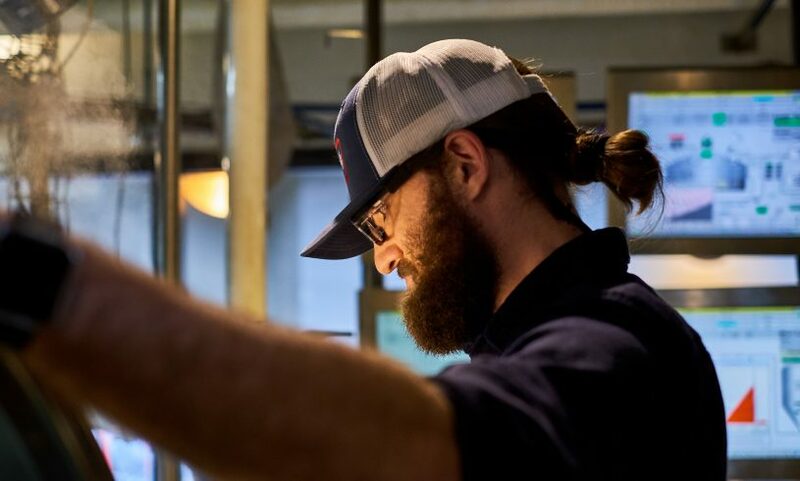 At Bottleworks, I’m focused mostly on our brewhouse and our team of brewers. Once our logistics team gets our raw materials to Bottleworks, it’s on me to organize and set up our brewing team so they have what they need, where they need it, when they need it. I have a saying that goes: “you’re either setting the next brewer up to scramble or setting them up to succeed” and that mantra drives my day-to-day and week-to-week planning. I work nearly every day with our Director of Brewing Operations on recipe and raw material for our big brewhouse, and R&D planning for our Pilotworks program. I work with our Automation Engineer constantly to address issues with our brewhouse, and how to streamline and improve operations. Most days, there is beer to asses with our QC/QA team, plus ongoing process improvement and technical adjustments. I take the point on working with our maintenance team on all brewhouse issues. I still rotate shifts with our team of brewers each month and that also impacts what my duties will be. This month, I’m on the close at Bottleworks so I’m the last one in the brewery each night, executing the day’s final batches and brewhouse CIP (cleaning). Some days, it’s all janitor-type work. Some days, I’m sampling through our Pilotworks batches and looking to identify what could be the next interesting addition to our portfolio. Did you or do you have a mentor in the industry that you learned a lot from and respect? He’s not a brewer, but Roger Baylor of NABC literally spearheaded the good beer movement in the Southern Indiana/Louisville Kentucky area. He influenced countless people, including myself. A Publican in the truest sense and beer educator, I owe a lot to Roger and the opportunity he gave me to work with and learn from him. Not really a specific style, but nowadays I prefer lower ABV beers with great flavor and aromatics – could be a stout, could be pilsner, could be a hoppy thing. The key is clean favors from proper brewing techniques, proper QC/QA and freshness. What have been some of your favorite styles to brew? Anything you created that you are especially proud of? I love brewing all styles, especially stouts as their brewhouse aromas are the best. The current Stout Bout variety pack star Mexican Chocolate Stout is inspired by Mexican hot chocolate ala Nestle Abuelita, and its always interesting to turn non-beer things into a beer. Another project that I’ve been working on is turning our beloved Sticky Toffee Pudding into a beer. It’s a challenge to create a beer that has all the flavor components and maintains its integrity as a beer. There is another secret stout project that I really proud of, but thats all I can say for now. What’s the strangest ingredient you’ve ever brewed with? Do you have a favorite memory or story from your brewing career? That time that Schlafly hosted guest breweries from Indiana for Repeal of Prohibition Festival 2008. As a guest brewer attending the festival, I met the love of my life. We’ve been together ever since then, and I have to thank Dan Kopman and Tom Schlafly for throwing that festival and changing my life. What trends/innovations are you seeing in the industry that have you excited? Anything you are just over? Quality Control/Assurance is the next wave that will separate the beers out in the market, and we are glad to have the lab and staff that we do. Quality, consistency, accountability and freshness matter. If you could sit down with anyone (living or dead) and have a beer, who would it be and why? Miles Davis. Because Miles Davis. I’m a musician and huge jazz nerd, and I named my cat after him. To be involved in something that brings people joy and enhances their lives, it is truly an honor. Beer culture is and should be about fun and flavor. Music. I play in 2 bands in 2 different states, one has been around for 20 years and the other is a few years old and involves some other Schlafly people. When I’m not rehearsing, traveling, or playing gigs, I love going to see live music. I love cooking at home, and I also love snugging with our pets on the couch. When you aren’t drinking beer…what are you drinking? Water, coffee, and whiskey. Occasionally tequila.